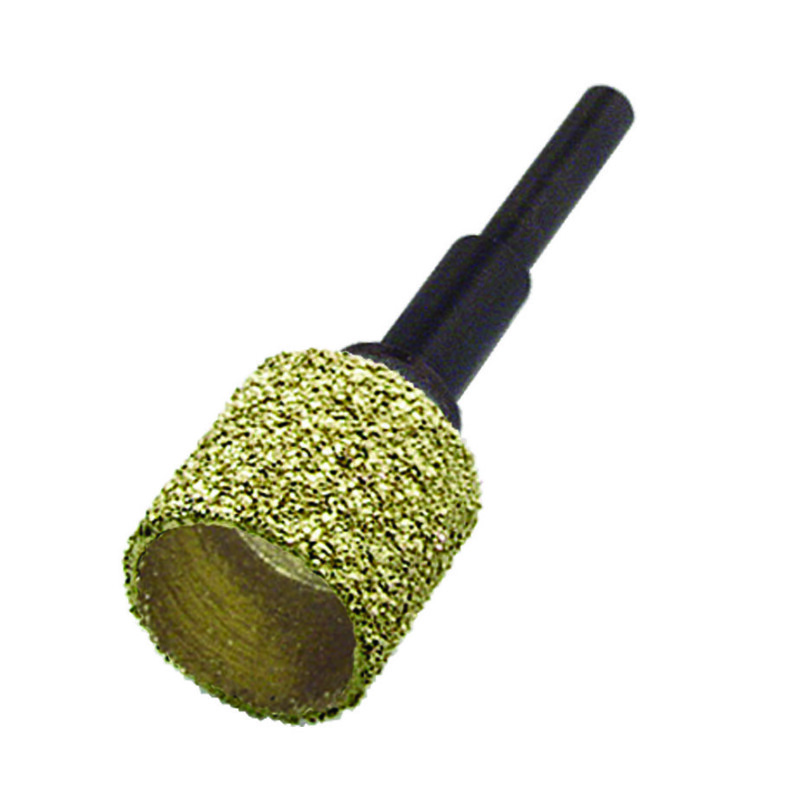 Avetek Limited are pleased to announce that they are now importing and distributing Dura-Grit carbide abrasive tools. These fine tools come in a wide range of configurations for many varied applications. 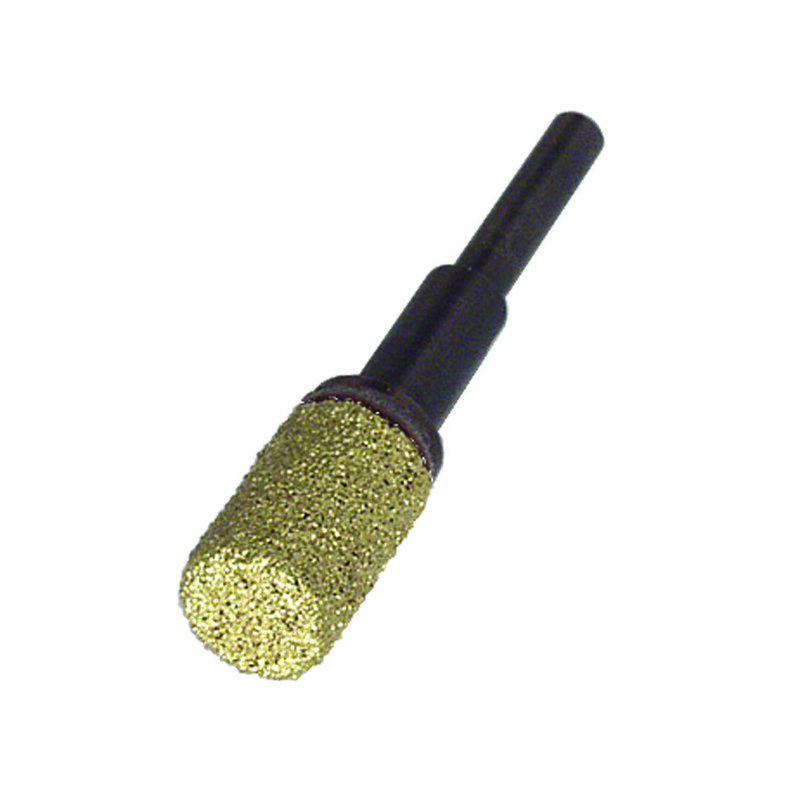 These carbide tools are available as High Speed Rotary Burrs and Cutting Wheels, Hand Sanding Tools,1/4" (6.35mm) drill bits and replacement sanding discs for electric sanders. 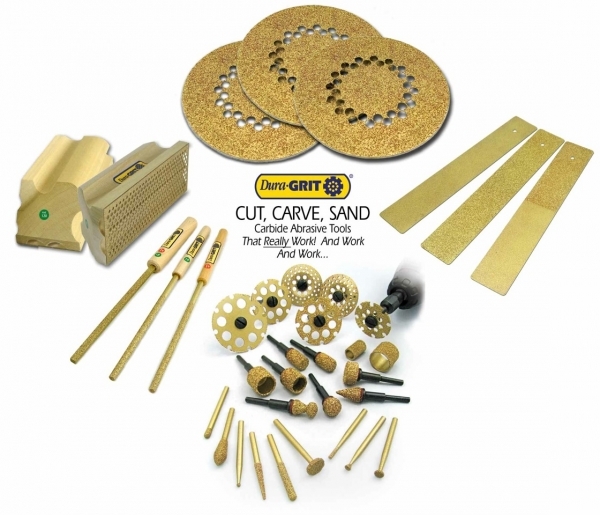 All these items come in various sizes and grit grades. 1/2" Hollow drum, performs same sanding/smoothing function as 1/2" sanding band but doesn't need fitting on a rubber arbor. Additionally, this wonderfully useful tool has grit on the edge opening and will double as a hole saw. Available in 60 & 80 grit. 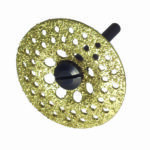 3/8" Hollow Drum can be used as a router accessory for rebates and edge grooves. Great as a mini hole saw! Create channels, bevels & corners or smooth rough surfaces. 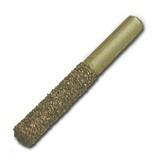 Great long life drum for those who have Dremel 1/2" rubber arbor (not included). No more need to constantly change drums! Great long life drum for those who have Dremel 1/4" rubber arbor (not included). 7/16" dia Burr. Use to smooth irregular surfaces, fit drawers, door & window frames, cabinet shelving, etc. 1/4" Dia . Cut holes, slots & irregular shapes in wood, wallboard, wall tile, etc. Countersink screw holes. Start and enlarge holes. 1/4" Dia. Similar uses to ordinary paper drums but with added benefit of end sanding and much longer life. 1/4" Dia. Dimple carvings, 'write' carved name boards and signs. Cut channels in wallboard, wood trim or base board to accommodate data, phone and speaker wiring. 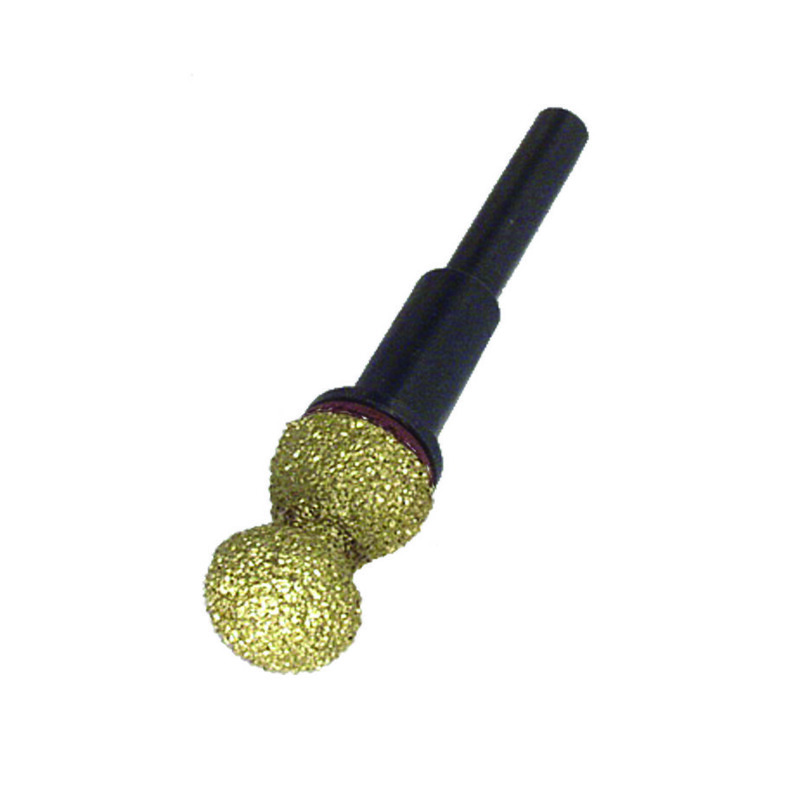 A wonderful 3/8" steel, spherical ball coated in carbide and available in 60 & 80 grit. This great tool is terrific for dimpling and channeling. 1/4" Dia . Undercutting in low relief carvings. Contour cavities in blanks and moulds. 'Open cut' interior of solid forms such as aircraft nose cones and decoy eye sockets, etc. 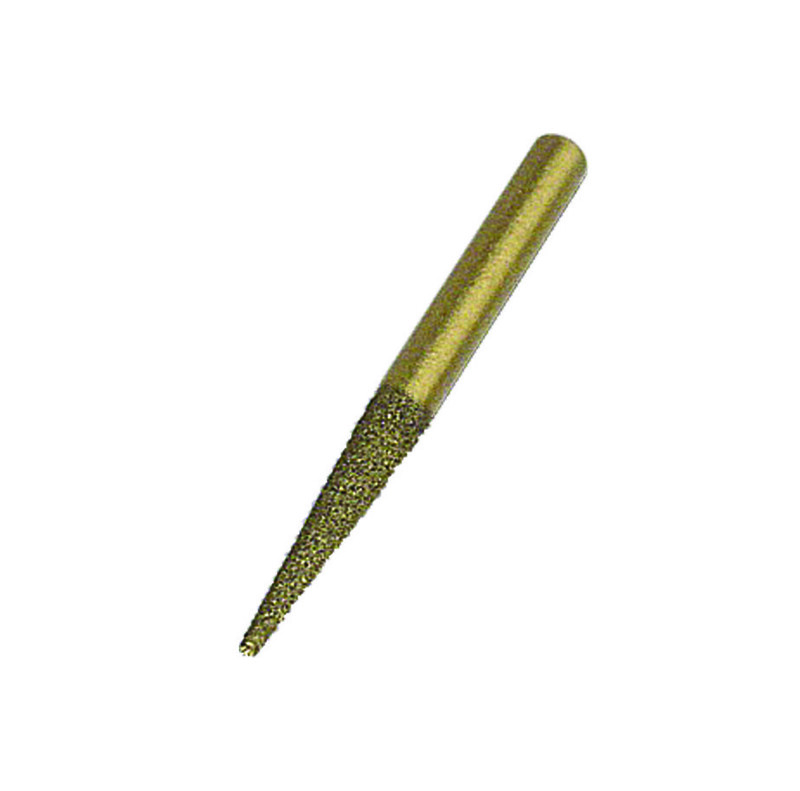 CARBIDE POINTED BURR SR-PB8 80,120 AND 240 GRIT This 1/8" tungsten carbide pointed burr is great for detail work in carving, modelling and general crafts. 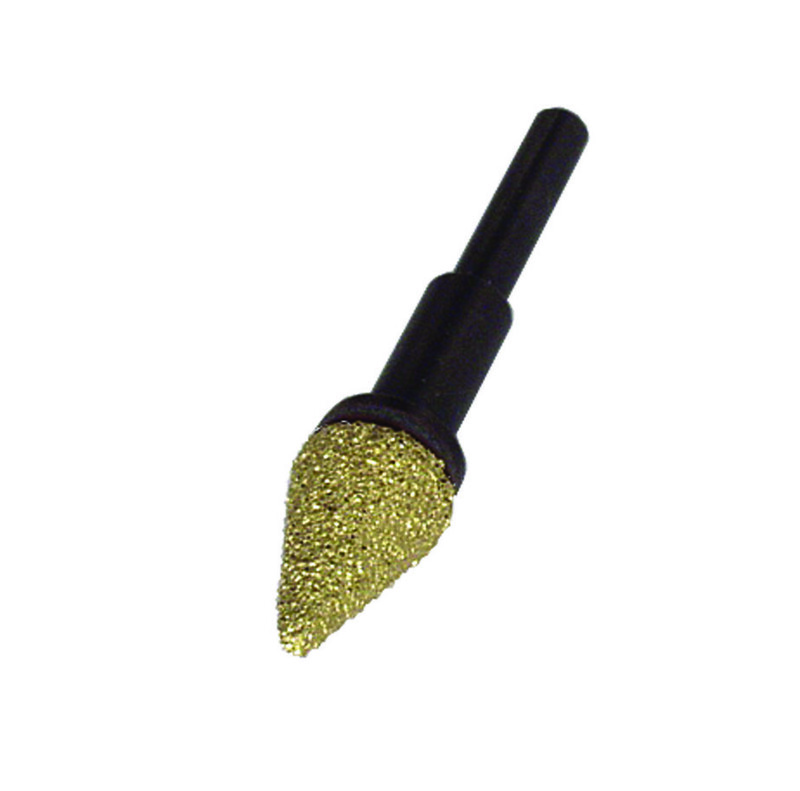 CARBIDE STRAIGHT BURR SR-SB8 80,120 AND 240 GRIT This 1/8" tungsten carbide straight burr is great for detail work in carving, modelling and general crafts. 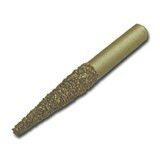 LARGE CONICAL TIP BURR LR-CTB-046 This is 1/4"dia. x 2-1/4" long. 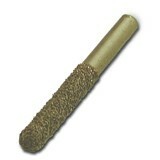 LARGE FLATHEAD TIP BURR LR-FHB-046 This is 1/4"dia. x 2-1/4"long. 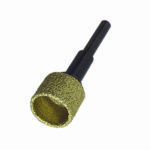 LARGE ROUNDED TIP BURR LR-REB-046 This is 1/4"dia. x 2-1/4"long. 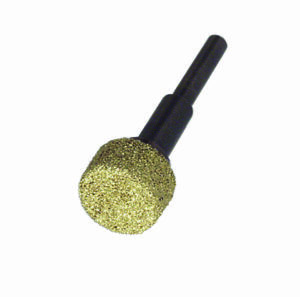 Dimple, carve, mould and grind using this rounded tip and the long, gritted, cylindrical sides. 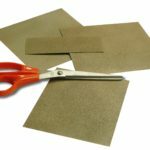 Cut channels & slots in wood, fiberglass, wallboard, compound materials, etc. FINE DETAIL 7 PIECE SET BLU-007 -080 The seven carbide burrs in this set produce the fine details that make a good woodcarving a great woodcarving! 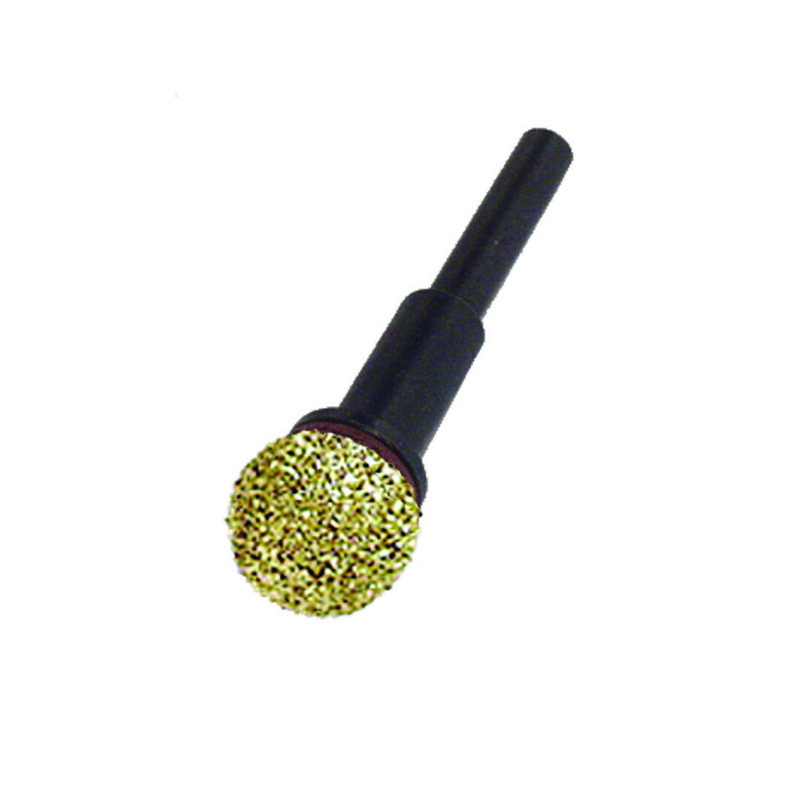 LARGE CUTTING WHEEL (1.50" DIA) SR-CW5 60 GRIT. 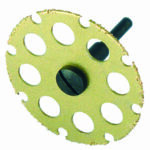 A great new carbide cutting wheel with a thinner kerf and a deeper cut! Use this wheel for cutting most household materials including: Hard and soft woods, MDF & Pine moulding, Fiberglass moulds, ABS plumbing, PVC piping, Rubber hose, Garden hose, Laminate floor, and more! 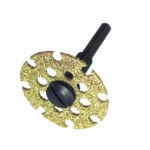 CUTTING/ SHAPING WHEEL (1.25" DIA) SR-CS4 60 GRIT. This tool is great for deeper cutting and shaping, enabling you to perform both without having to change bits. Great for many jobs including fitting 'Engineered, laminate floors'. 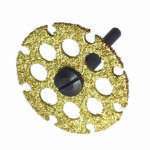 CUTTING/ SHAPING WHEEL (1.0" DIA) SR-CW1 80 & 120 GRIT Cuts, shapes & finishes in one operation. Great as a cut-off wheel for modelling & smaller work pieces. CARBIDE FLAT SANDERS HT-FS9-060,120 & 612. 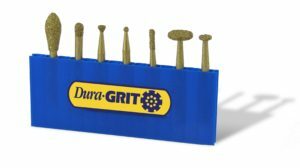 Dura-GRIT Carbide Flat Sanders are thin enough to get into tight spaces, yet more aggressive and long lasting than regular files. 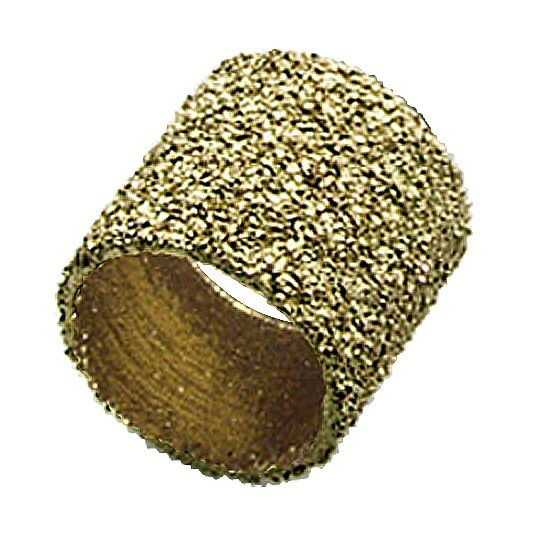 Available in 60 or 120 grit, or a unique 60/120 grit combination. 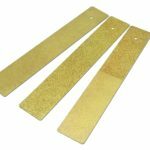 CARBIDE SANDING FILES HT-RF4-60 & HT-RF4-120. 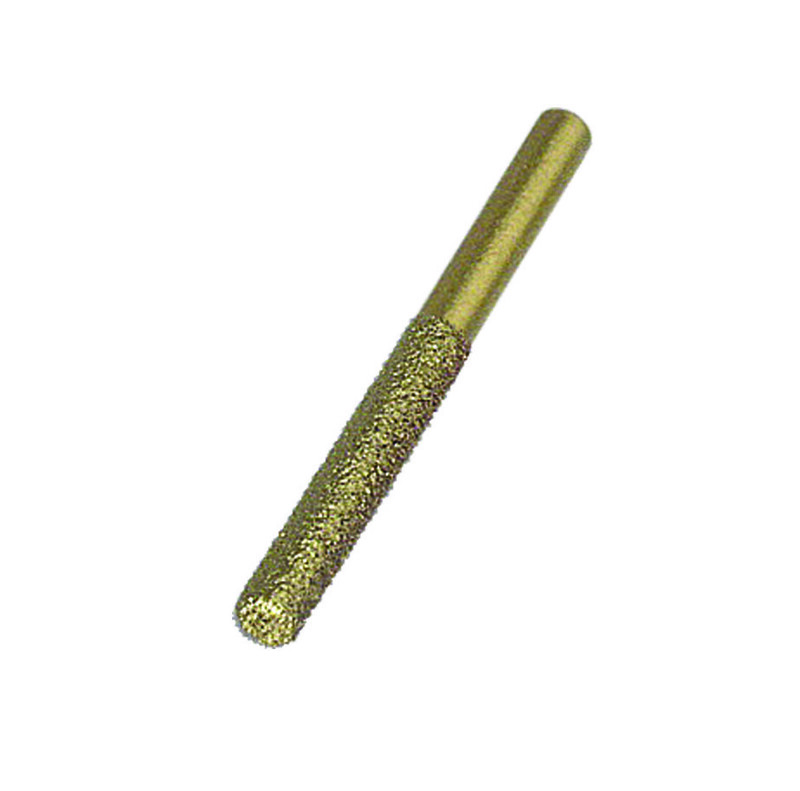 1/4"Round File - 60 or 120 grit . Open cut holes & irregular shapes in wall tiles for fitting pipes and trim. HT-SF4 - 612. 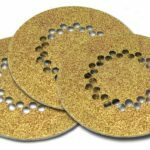 1/4"Square Fill - A coarse & fine grit on opposing faces enables you to remove bulk material, rotate the tool and finish, all with the same tool. 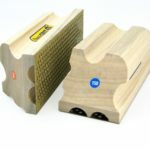 TRU SANDER - 90 degree Carbide Sanding Block HT-TS5-060 , 80, 120 &150 GRIT Lasting Hundreds of times longer than ordinary sandpaper, these blocks incorporate a 90 degree sanding face. Cuts on the up stroke AND the down stroke! Cuts forward, backwards, sideways (360º) WITHOUT rotating the work piece! Sands to a 60 grit finish as it cuts! 5-1/8" long, (3-1/8" cutting area) Fits clamp type scroll saws.